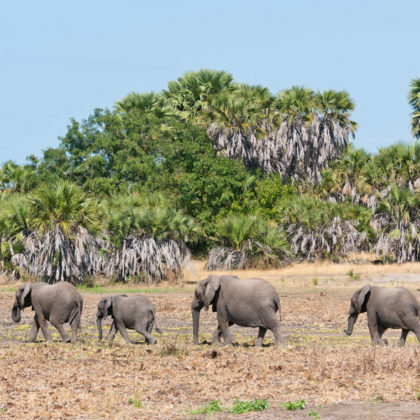 After your arrival in the Capital City of Dar es Salaam, you will catch a small plane and fly into the remote Selous Conservation area, one of the largest reserves in the world and is named after big game hunter turned conservationist Sir Frederick Selous. Due to its remote location the Selous is one of the most pristine remaining reserves in Africa. Set out on an early morning game drive in the company of an experienced local guide who will help you track the animals. 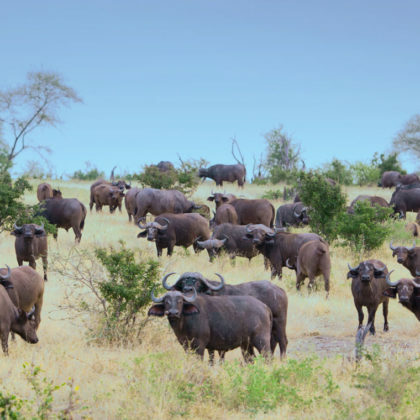 The area has a diverse array of habitats which are home to one of the largest elephant and African buffalo populations in the world. 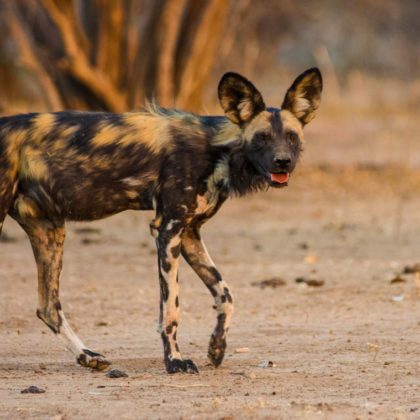 You may also get to see the rare and endangered African painted hunting dogs as the region is home to one of the last populations of them. During the warmth of midday, you can relax in camp and have a siesta before heading out on a guided game drive once more. You may come across a pride of lions resting in the shade before an evening hunt. Travel along the river and see many hippopotami as the Rufiji River is home to one of the largest populations of these creatures in Africa. Today, you will fly from the Selous to the Ruaha National Park, again one of the largest conservation areas on the continent. The small planes are a wonderful way to see the landscape from above and you may see herds of buffalo and elephants grazing below. After landing you will be transferred to the lodge in an open safari vehicle. 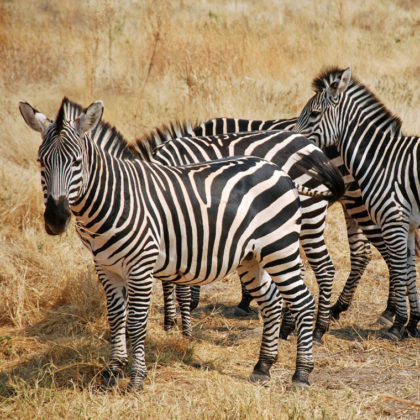 You will head out on an afternoon game drive led by an experienced local guide who will help you search for wildlife. 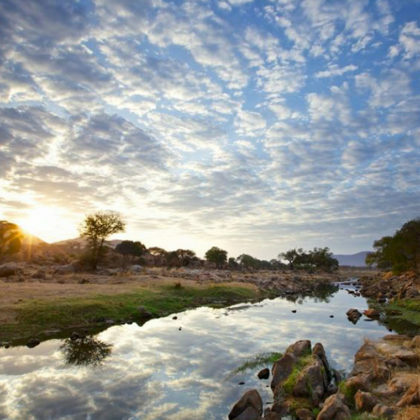 You will stop off in a scenic spot to sip on a refreshing sundowner as the sun sinks below the horizon before continuing on a night game drive to see the nocturnally active creatures such as leopards. You will enjoy morning and afternoon game drives in search of all the wildlife that calls the park home. The park is known as the only park in East Africa where both greater and lesser kudu and the sleek black sable antelope occur. The experienced guide will reveal secrets about life in the bush as well as the history of the region while on your game drive. Return to the lodge and savour a leisurely lunch before enjoying a siesta. You can also opt to explore the region on foot by going on a guided walk with a local ranger who grew up in the region. Once more in the afternoon, you can set out on a game drive. Return to game and tuck into a sumptuous dinner served out under the African stars. This is the final day of your luxury safari holiday to the Selous and Ruaha regions of Tanzania. You will catch a small plane and fly back to Dar es Salaam. Speak to consultants about adding on an extension to the beautiful spice islands of Zanzibar. More details are provided under the information tab.